A Swansea company has received a major award for its commitment to staff training and learning. Wheelies Direct took the SME Employer of the Year award at the Inspire! Awards as part of Adult Learners’ Week 2015. Adult Learners’ Week runs from June 13 to 19 and celebrates lifelong learning, whether work-based, as part of a community education course, at college, university or online. Now in its 24th year, it aims to promote the range of courses available to adult learners, from languages to computing and childcare to finance. The Inspire! Awards are hosted each year ahead of Adult Learners’ Week to celebrate the achievements of outstanding learners in Wales who have shown exceptional passion, commitment and drive for learning, often in the face of difficult circumstances. 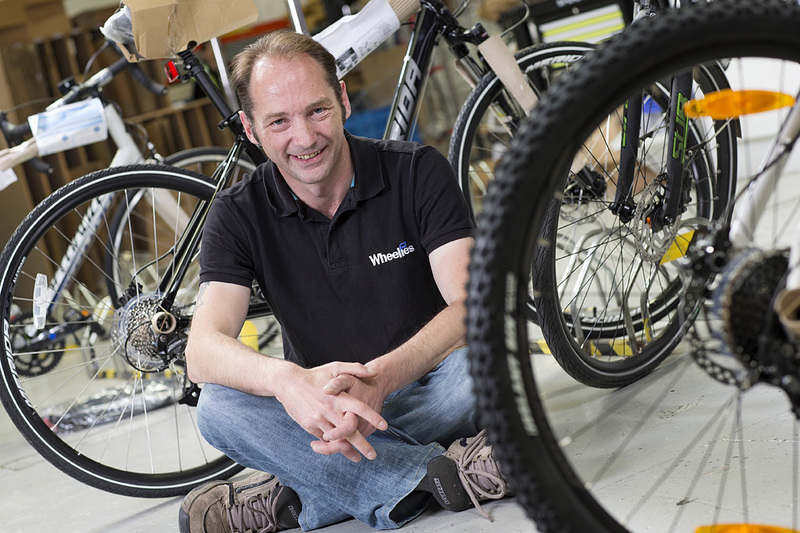 Swansea-based bike and accessories online retailer Wheelies Direct was rewarded for its investment in training, an approach that has seen a reduction in staff turnover. The company, which employs 158 people at its call centre and despatch site in Fforestfach, Swansea, has run a work-based training programme with Jobforce Wales since 2005. Staff are encouraged to complete NVQ and ILM (Institute of Leadership and Management) qualifications in addition to compulsory training which includes fire safety, first aid, and manual handling, and can also take on an Apprenticeship. The company also plans to build a fully-equipped, purpose- built training room that will be available to all departments. Carl Jones, HR manager at Wheelies Direct, said: "Offering NVQs and other work-related qualifications has been key to us, both in attracting and retaining quality employees.It&apos;s given our employees more confidence in their work, and the confidence to go on to other training programmes, both work-related and for personal growth and development. Staff training and development is fundamental to the success of any company in terms of recruitment, retention, employee engagement and productivity." Carol Thomas, Training Officer at training provider Jobforce Wales, which delivers Apprenticeships to Wheelies Direct, said: "Personal development is very much part and parcel of the company culture at Wheelies Direct." Adult Learners’ Week is organised by NIACE Cymru with the support of the Welsh Government and European Social Fund. Deputy Minister for Skills and Technology, Julie James, said: "Adult Learners&apos; Week gives everybody the opportunity to learn something new, whether you learn from home, in the workplace or in your local community. The Inspire! Awards recognise the people who have taken that step, and their examples should encourage anybody who thinks it&apos;s either too late or too difficult to learn a new skill. We hope Adult Learners&apos; Week will encourage adults across Wales to find out more about their skills and career options by going along to events in their area. Adults can also access the Skills Gateway to get careers advice and guidance, whether they want to improve their skills and employability or get back into work." Cerys Furlong, Director of NIACE Cymru, said: "The Inspire! Awards remind us of the power of learning and every story is a testament to the hard work of the learners and the tutors. Each winner has come such a long way and shown real determination and passion for learning and we wish each one every success for the future. Everyone can get involved with Adult Learners&apos; Week by joining a free learners&apos; event in their area on anything from first aid to digital photography."